1 Give your designer the INFORMATION SHEET for correct set up specifications. A powerful feature of The Easy Template Maker is that you can download the correct PDF instructions page and email or link to another design firm, freelance designer or any of your staff. At The Easy Template Maker page, click generate and a secondary PDF button will appear. USE this secondary button to generate a ARTWORK SPECIFICATIONS SHEET you can give to another designer. Advantages this portable document can be forwarded to another person or saved for later use. IF you use other designers to create the files, you can give them a DESIGN GUIDE INFORMATION SHEET with all the required details. 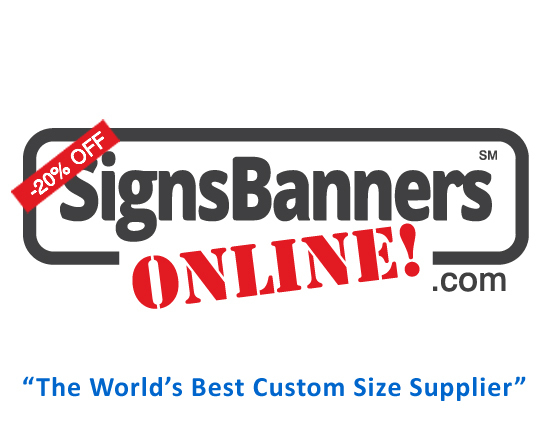 When you upload a correct file, Signs Banners Online automatically creates a proofing image for you to inspect Approve and your wholesale printing begins. TIP: Your designer can make changes, upload, changes, upload as many times as you need. Each upload creates a new Instant Preview for you to inspect. Free!